In great news for India, scientists at NASA have named a new organism discovered by them after the much-loved APJ Abdul Kalam. Till date, the new organism - a form of a bacteria - has been found only on the International Space Station (ISS) and has not been found on earth. 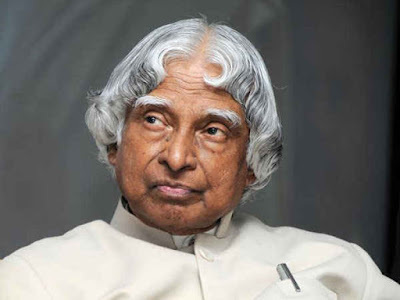 Dr Kasthuri Venkateswaran, a senior research scientist at JPL, said while the genus is named Solibacillus, which is a spore-forming bacterium, naming the species after Kalam came “naturally” to him and his team. “Being a fellow Tamilian, I am aware of the huge contributions by Dr Kalam,” he told PTI. Kalam, an aerospace scientist, had his training at Nasa in 1963 and went on to set up India’s first rocket-launching facility in a village in Kerala. The bacterium was found on a high-efficiency particulate arrestance (HEPA) filter that was on board ISS for 40 months, PTI reported. The HEPA filter is a part of the routine cleaning system on the ISS. One of Venkateswaran’s major responsibilities is to ensure the spacecraft that fly to other planets are totally sterile before leaving earth. While the bacterium has not been characterised completely yet, Venkateswaran hopes it will be helpful in biotechnology applications. It could also be a source for chemicals that can help against radiation damage, he added.